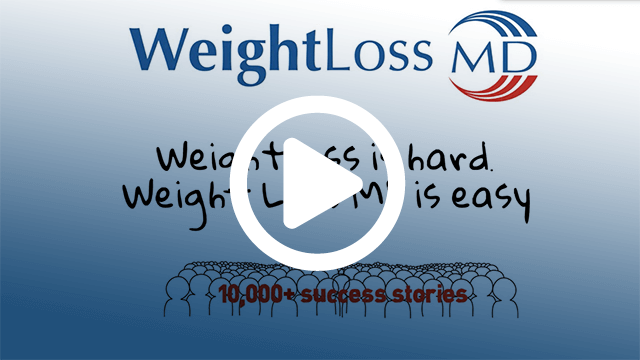 Your healthy weight loss is supervised within a safe, effective, physician directed plan. You will be guided by our clinicians, our medical staff and our registered dietitians. No secrets here. Just affordable, safe weight loss in a custom weight loss program. First we test. We perform blood work (5 different panels), an EKG, blood pressure, body fat analysis, and take your personal medical history. See the Clinician. You will see one of our Board Certified MDs or Nurse Practitioners for your first consultation. They will go over your test results and medical history with you and suggest one of our diets. They will also decide if you are a good candidate for appetite suppression medication. If so, it will be dispensed to you on-site. Weekly visits. They are not mandatory but we like to see you every week. You come in, we talk about your diet successes or problems, adjust the program and answering any questions you may have. At WeightLoss MD you will receive a customized weight loss program that includes personal medical counseling from a board certified physician and dietary counseling from a licensed, registered dietitian. We will monitor your progress and make the necessary adjustments that will allow you to best achieve your short and long term goals. Although our primary goal is to help you reach your target weight quickly and easily, the focus of care is to allow you to maintain your weight loss permanently so that you will not put the weight back on after you complete our medical weight loss program. Our Atlanta weight loss clinics offer the latest FDA-approved weight loss prescription medications along with B12 and Lipo-B injections. Our optional nutritional products are available only from medical doctors. You are serious about losing weight and weight loss is all we do. You will find our Atlanta weight loss doctors and dietitians to be experts on weight related illnesses, obesity, nutrition, fitness, prescription medications and behavioral motivation and modification. Weight loss is hard. WeightLoss MD is easy. Call us today and let’s talk about your lighter, brighter future. No matter what program you choose you can receive an email each day of your diet. All emails are specific to your particular nutrition plan for the day and contain cartoons and inspirational quotes for fun and motivation. We will even send you daily exercise suggestions that can help you get moving in the right direction. By running your blood work, our staff can begin to help you achieve your weight loss goals. We will perform a complete metabolic profile (CMP), a complete blood count (CBC w/differential), a cholesterol and triglyceride test (lipid profile), and thyroid tests (TSH, Free T-3). These tests ensure that the medical weight loss program is safe and will be effective for you specifically. Our doctors determine body composition by an accurate technique known as Bioelectrical Impedance Analysis, which sends a harmless amount of electric current through a person’s body. The current calculates your percentage of body fat by “reading” amount of fat body mass and lean body mass in your system. The currents measure the opposition that is must travel through which in turn measures your total body water. Your body can hold more water when it has more muscle, allowing the current to flow through more easily. The total body water count is then used to determine the amount of fat-free body mass, leaving the amount of actual body fat when subtracted from your weight. Bioelectrical Impedance Analysis is a painless and very precise measure that our medical weight loss centers use to put you on your way to healthy weight loss. An Electrodardiogram (EKG) records the electrical voltage from the heart in the form of a continuous strip graph. It is the prime tool in the screening and diagnosis of cardiovascular diseases. The medical doctors in our physician weight loss clinics require this test each of patient. Safety is our number one priority. Weight Loss MD has a pharmacy on location for your convenience. All of our physician’s medications are from DEA-approved pharmaceutical manufacturers. We have over 20 types of appetite suppressant medications and medication combinations to suppress your appetite while on your weight management plan. All of our medical weight loss centers dispense medications on site. At WeightLoss MD we know that one size does not fit all. We offer customized plans for Women and Men as well as our Modified Liquid Diet and Dr. Emma’s Diet for a quick start to your new life. And now, all of our plans come with our Daily Diet Email! For those who are constantly on the go and feel they don’t have time to eat a healthy, balanced meal, WeightLoss MD also offers food supplements in the form of delicious shakes, cookies, bars and soups in an assortment of flavors. Our protein products are specifically designed to go along with our custom diets. Our staff has personally tasted every single product on the market, and we only sell the best tasting products to help you reach the goal of your custom diet. Visit our store now.